Back in July we reported on a baby girl who arrived during the afternoon rush on the East F Train Platform in NYC. 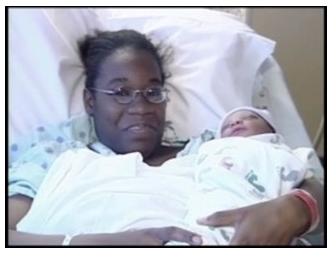 In San Leandro, CA another baby decided she couldn’t wait, forcing her mom to deliver her on the BART station platform. 21-year-old Jessica Bennett was taking her 2-year-old son to a relatives house before heading to the hospital where she was supposed to deliver her child. I guess baby Jayda had different plans because the impatient 6-pound, 2-ounce newborn arrived a little earlier than expected. The good new is that both mom and baby are doing well after the eventful birth. BART spokesman Linton Johnson says there have only been two other births on record at BART stations, one in 1996 and the other in 2005.